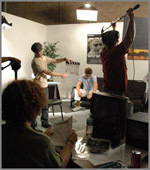 CML Studios can fully produce any project using the resources of our sister company CML Productions. Our production knowledge and skills can completely coordinate, produce, edit and market any video or photo project for the web, television, radio, cable and print. We can fully produce commercials, short films, music videos, informercials, green screen shoots, photo shoots, web videos and much more. We can also coordinate movie-theme parties. CML Studios has a partnership with Celebrity chef Kurt Ehrlich. Celebrity Gourmet Catering offers unique and luxurious catering and party preparation and bakery services for all occasions and budgets. We offer a wide selection of Menu Items for Italian, Spanish, Mexican, American, Mediterranean Cuisine including party trays, buffets, theme events, BBQ menus, Boxed Lunches and Party Trays. 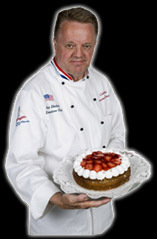 Chef Kurt attended Chef School in Germany and worked throughout France to further his cooking skills. He also worked at the famous Waldorf Astoria in New York and Disney World Resort in Orlando, Florida where he received numerous awards. Kurt Ehrlich has owned Restaurants in New York and San Diego, along with a large Catering and Bakery Operations. His cooking shows and segments have aired on CBS, NBC, and ABC. Presidents, Celebrities,and International Heads of States have called on him for Private Events for as many as 4000 Guests and he is commited to only using the finest ingredients, fresh herbs and imported supplies for our Bakery.